The upcoming episode of Star Plus popular daily Tv Serial Kasauti Zindagi Ki 2 is up for high voltage drama. Prerna(Erica Fernandes) and Anurag's love seems to take toll as Komolika(Hina Khan) has marked her entry. Komolika (Hina Khan) is getting more attracted towards Anurag seeing his innocence and love. Komolika is also super irked to know that Anurag (Parth Samthaan) is not at all affected by her beauty and is self obsessed. 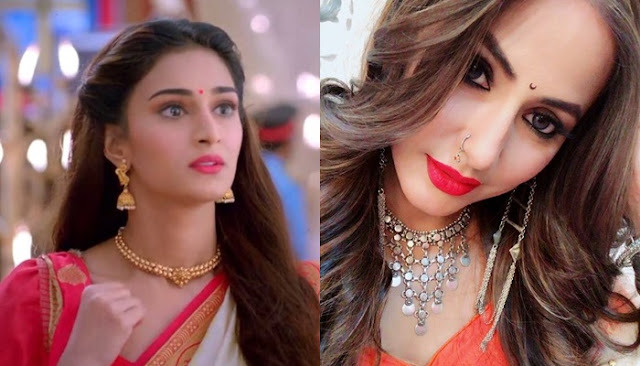 Anurag and Prerna's (Erica Fernandes) love will get haunted by Komolika, Komolika will take all her efforts to attract Anurag Basu towards her to satisfy her ego. Anurag (Parth Samthaan) and Prerna's love will be badly affected by this evilness of Komolika.